The best Womens fancy dress costumes from Sydney, Australia. 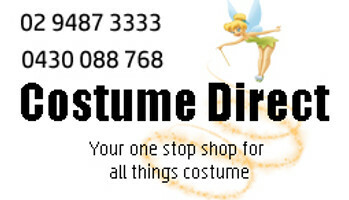 Costume Direct online has a wide variety of choices with fast shipping! You'll love our incredible, high-quality range of Womens costumes - from Wonder Woman to Alice in Wonderland costumes, Superheroes to Oktoberfest costumes, Disney dresses to 1920s, 60s or 80s getups! We've got something to inspire the fun, the fantastical or the fairytale in everyone, and to ensure you are looking and feeling your best at your next costume party or event!